This award honors the late A. Nico Habermann, who headed NSF’s Computer and Information Science and Engineering Directorate and who was deeply committed to increasing the participation of women and underrepresented minorities in computing research. CRA makes an award, usually annually, to a person who has made outstanding contributions aimed at increasing the numbers and/or successes of underrepresented members in the computing research community. This award recognizes work in areas of government affairs, educational programs, professional societies, public awareness, and leadership that has a major impact on advancing these members in the computing research community. Recognized contributions can be focused directly at the research level or at its immediate precursors–namely, students at the undergraduate or graduate levels. Maria Gini is an outspoken advocate of diversity in computing. Throughout her career, she has worked tirelessly to recruit and retain students from underrepresented groups in computing at the local, national, and international level. Gini is a respected and prolific researcher in the areas of intelligent agents, multi-agent systems, and robotics, and has been named a Fellow of both AAAI and IEEE. In addition to graduating 34 Ph.D. students and nearly 100 Master’s students, and mentoring dozens of undergraduate researchers, Gini has used her visibility and prominence to make the field more welcoming for everyone. She has spoken at numerous venues about the importance of diversity in computing and the need to create a culture that embraces it. She is deeply committed to diversity and possesses the combination of generous spirit, organizational skill, and boundless energy to carry out that commitment. Gini has created and run programs for women and minority men high school students, and co-directed the CRA-W Distributed REU (DREU) program for many years. She currently co-directs CRA-W’s Grad Cohort for Women program, and regularly organizes and mentoring programs at AI and robotics conferences. Gini created and continues to run the Minnesota Regional Celebration of Women in Computing, and has long been involved in the Grace Hopper Celebration of Women in Computing, recently serving as program and general chair. Gini has had a tremendous, positive impact on countless individuals as well as on the computer science community. Her efforts in these programs have directly resulted in hundreds of students choosing to pursue research careers. The CRA Board of Directors selected two recipients of the 2018 A. Nico Habermann Award: Juan Gilbert and Manuel Pérez Quiñones. Juan E. Gilbert is the Chair of the Computer and Information Science and Engineering Department at the University of Florida (UF). He is a role model for being an effective change agent in the field of computing, and he has demonstrated a model for how to attract people of color to computer science and help them thrive. Gilbert is the single leading producer of African-American Ph.D. recipients in computer science and a leading producer of minority Ph.D. recipients; since 2006, he has produced 13 African-American, three Hispanic and nine women Ph.D. recipients across three research institutions. Gilbert has also been incredibly effective at attracting African-American faculty at each of those institutions. Gilbert leads the Institute for African-American Mentoring in Computing Sciences (iAAMCS) program, which is part of the National Science Foundation (NSF) Broadening Participation in Computing Alliance. Under his leadership, the primary goal of iAAMCS is increasing the number of African-Americans pursuing and receiving Ph.D.s in computing sciences. iAAMCS works with CRA-W, and previously with the Coalition to Diversify Computing, to increase African-American participation in the Distributed Research Experiences for Undergraduates (DREU) program. Within DREU, iAAMCS has mentored more than 50 undergraduates. Since 2013, Gilbert has personally mentored 21 undergraduate DREU students. He has also published several articles pertaining to the state of African-Americans in computing, successful strategies for mentoring students, using culture with technology to advance learning, and making voting accessible. 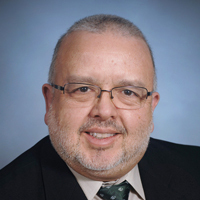 Manuel A. Pérez Quiñones is the Associate Dean of the College of Computing and Informatics at the University of North Carolina at Charlotte (UNCC). He has effectively led diversity efforts by computing professional societies such as the Coalition to Diversify Computing (CDC) and the Center for Minorities and People with Disabilities in Information Technology (CMD-IT). Pérez Quiñones has also contributed to educational programs aimed at high school through graduate school educators, such as CS@VT High School Teachers’ workshops (which led to ACM CSTA chapters across the state), and the NCWIT Pacesetters program. Further, he has given talks and served on panels to increase public awareness of the need to greatly increase the numbers of Latino/a students and professionals in computing. He has advised ten Ph.D. students and 14 Master’s students, and he has served on more than 20 Ph.D. committees and 50 student committees. His history of diversity leadership through professional service is unparalleled. Pérez Quiñones founded and contributed to significant efforts, including the Virginia Latino Higher Education Network (VALHEN), the UNCC CCI Corporate Mentoring Program for Women in Computing, the Tapia Conference (program co-chair in 2009 and 2014), SIGCSE, CRA-W Collaborative Research Experiences for Undergraduates (CREU; co-chair from 2006-2010), CRA Center for Evaluating the Research Pipeline (CERP; advisory board from 2014-2015), and the Hispanic mailing list that supports Hispanic Ph.D. students and faculty. He has received three NSF Broadening Participation in Computing Alliance grants. His workshops on inclusion, identity, and belonging has influenced change in the academic computing culture by bringing forward challenges and strategies to those who have the most influence on students and the departmental/classroom culture (e.g., teachers, faculty, and graduate students). Through his work in broadening participation, he has provided guidance and inspiration to decision makers, academic institutions, industry, and most importantly, young students. Carol Frieze was selected as the recipient of the 2017 A. Nico Habermann Award Winner for devoting nearly two decades to promoting diversity and inclusiveness in computing. She has worked with and supported a wide variety of students including women, people with disabilities, and various age groups ranging from K-12 to graduate students. Carol has contributed valuable research towards understanding the challenges diverse populations face, and in many ways, her research has challenged the existing narrative in the field. And it’s had impact: 48% of computer science majors in the 2016 incoming freshman class at CMU are women, far above the national average. Her work towards improving diversity and inclusion in computing goes well beyond advocacy. Carol has shared her knowledge with others by developing teacher resources, books, and course materials. She also participates in conferences and other programs including CRA-Women’s Collaborative Research Experiences for Undergraduates. Carol’s nomination letters attest that she played an important role in creating an inclusive environment at CMU, and her research can help others learn best practices and insights to help spread this type of progress beyond her home institution to the entire community. Ayanna Howard was selected as the recipient of the 2016 A. Nico Habermann Award Winner for her sustained commitment to increasing diversity, combined with her distinction in research. She has a long track record of improving access to research for women and underrepresented minorities (URMs) as well as students with disabilities. Dating back to her work at JPL in the late 90’s, she ran a mentoring program for undergraduate women and, continuing today, she works on increasing minority participation at the graduate, undergraduate and high school levels. Ayanna is currently a CRA-W Board member and faculty member at Georgia Tech, where she has provided research opportunities to dozens of undergraduates (over 75% of whom are URM and/or women) — and a majority of these students have gone on to graduate school. Ayanna has taken on an increasingly visible role as a spokesperson for improving diversity in STEM and robotics, and she has garnered impressive media visibility for her work. In the last year, she was recognized as one of the 23 most powerful women engineers in the world by Business Insider and was named to The Root 2015, a list of 100 African-Americans responsible for the year’s most significant moments, movements and ideas. Additionally, she serves as the principal investigator of an NSF National Research Traineeship grant for Healthcare Robotics Technologies that aims to increase the appeal of STEM fields to a wide range of people. For over two decades, Gates has been a leader in initiatives that support Hispanics and members of other underrepresented groups in the computing field. She is perhaps best known for leading the Computing Alliance of Hispanic-Serving Institutions (CAHSI), an alliance of 13 institutions whose work has had large and sustained positive impact on recruitment, retention, and advancement of Hispanics in computing. Mentoring is a key component of CAHSI’s approach, which builds support networks that address both academic and cultural issues for students at all stages of their college and postgraduate education and on to leadership positions. Gates helped establish the Affinity Research Group (ARG) model for research mentoring and peer support; the evaluation of its effectiveness and dissemination of the findings has led to its adoption at institutions outside of CAHSI. Through an NSF ADVANCE program, Gates has also promoted the recruitment, retention, and advancement of female faculty at her home institution, UTEP. She has greatly enabled the success of many students through her personal mentoring of over 150 Hispanic students and research supervision of over 70 students. Gates’ influence has extended to other initiatives and communities, including the Society for Advancement of Hispanics/Chicanos and Native Americans in Science (SACNAS), CMD-IT, and the AccessComputing Alliance. The scale and impact of Gates’ contributions is truly exceptional, particularly in support of Hispanics who account for 25% of the U.S. population, but less than 7% of bachelors degrees in computing and less than 2% of PhDs. Nancy Amato has been a tireless and highly effective leader of programs that engage women and underrepresented minorities in computing research, particularly the CRA-W Distributed Research Experiences for Undergraduates program. Nancy has an impressive breadth of work not only at her home institution (Texas A&M), but also nationally with organizations including CRA-W, CDC, NCWIT and the Grace Hopper conference. Her nominators provided data showing her positive impact on the participation and success of women as well as members of underrepresented groups in computing research. She has also been an effective supporter of the Tapia conference. The Computing Research Association has selected David Notkin, Professor of Computer Science and Engineering at the University of Washington Seattle, as the 2013 A. Nico Habermann awardee, recognizing Notkin’s deep commitment for increasing the participation of women and underrepresented groups in computing. The CRA Board of Directors, in bestowing the award on Notkin, cited his tireless work to advance the success of all students in computing, and his strong and consistent advocacy for the inclusion of women and members of other underrepresented groups in the field. In his time at the University of Washington, Notkin has served as an extraordinary mentor to many graduate students, as a faculty member, and as Chair of the Department of Computer Science and Engineering. Notkin has also been a national presence as a researcher and used that prominence to effectively advocate for inclusion. Notkin was also one of the founding members of the National Center for Women and Information Technology, and provided pivotal leadership in the early years as one of the first chairs of its Academic Alliance. The Board also cited Notkin’s constant work to make the field of computing one that welcomes all, enables everyone to achieve their potential, and ensures that they have the opportunity to do so. Notkin was Nico Habermann’s Ph.D. student, and he attributes his focus on and success with mentoring to Nico’s example. He has been an outspoken advocate for underrepresented groups in computing, has pushed the field to try new approaches, and serves as a role model for the computing community. The award is given for their joint efforts to establish and sustain NCWIT, a national resource dedicated to encouraging greater participation of women in the development of computing technology. Each of these individuals has played an essential role in NCWIT’s creation and success. In 2003, Lucy, Bobby, and Telle had a vision of creating a national center that would bring together institutions, organizations, and individuals committed to the goal of increasing the participation of women and girls in information technology. The stakeholders of this center would span academia, industry, K-12 educators, and entrepreneurs. The center would facilitate sharing of promising practices among its members, incorporate social science research about the impact of gender in computing careers and the effectiveness of intervention strategies, and create a community of change agents challenging each other to amplify their efforts toward this goal. It would provide a forum for greater cooperation and communication among various organizations working in this space (e.g., ABI, CRA-W, MentorNet, ACM, and the Girl Scouts are all current NCWIT members). The CRA Board of Directors has selected Charles Lickel, Retired Executive Vice President, Global Research Software Strategy, Thomas J. Watson Research Center, to receive the 2011 A. Nico Habermann Award. The award is given for outstanding contributions aimed at increasing the numbers and/or successes of underrepresented groups in the computing research community. Lickel’s accomplishments have had an impact at the national, local, and individual levels for underrepresented groups, and particularly for researchers in the GLBT (gay, lesbian, bisexual, and transgendered) computing community. Within IBM Research, he developed a series of leadership conferences for the GLBT employees. These conferences led to his appointment by the UCLA Anderson School of Business to create a leadership institute in which employees of companies, such as Microsoft and Pepsi, worked with top professors and business leaders to learn to become effective leaders. His leadership and efforts to develop GLBT leaders and act as their role model resulted in his being honored as one of the Gay Financial Network 25 in 2001. Outside IBM, in addition to his work at the UCLA Anderson School of Business, Lickel also has had an impact on computer science programs within academia—such as Arizona State University, New Jersey Institute of Technology, SUNY Albany, and Pace University—through his work on their advisory councils. In 2009, he was awarded the Harvey Milk Alumni Award from SUNY Albany for his outstanding contributions. He has had a significant impact on the universities, their programs, and the students at these universities. In addition to working for the GLBT community, Lickel also has been committed to other underrepresented groups in computing and is highly regarded for his leadership within other organizations. The CRA Board of Directors has selected Anne Condon, Professor of Computer Science and Associate Dean for Faculty Affairs and Strategic Initiatives at the University of British Columbia, the awardee of the 2010 A. Nico Habermann Award for her long standing and impactful service toward the goal of increasing the participation of women in computer science research. Anne joined CRA-W Board in 1994 and became Co-Chair with Mary Lou Soffa from 2000 to 2003. She coordinated the DMP, the largest and most complex activity of CRA-W, from 1995 to 1998. It matches undergraduate women with mentors and funds summer research experiences for the students at their mentors’ institutions. During her leadership she commissioned an external evaluation to determine DMP’s effectiveness, which found that 50% of DMP women go on to graduate school as compared to about 3% of all women who earn undergraduate degrees in computer science. Evidence of effectiveness like this assured the DMP would receive funding for years to come. Anne’s foresight in commissioning an external review means that many more young women have undergraduate research experiences that motivate them to try for a graduate degree. With Faith Ellen at the University of Toronto, Anne initiated the Canadian Distributed Mentor Project (CDMP) in 2001 and solicited funds to make it happen. Of the 34 women who participated in the program between the years 2005 and 2009, at least 17 are in graduate school and another 8 plan to attend graduate school. The development and success of the CDMP is one of her major achievements. In 2004 Anne was awarded the NSERC/General Motors Canada Chair for Women in Science and Engineering. With the chair came the responsibility to help increase the participation and success of girls and women in the physical sciences and engineering at all levels of the pipeline in BC and the Yukon. There are similar chairs for the Prairie Provinces, Ontario, Quebec, and the Atlantic Provinces. Her work had to expand to a broader arena both in terms of including more science and engineering and in including K-12 education. To support this effort Anne created the Jade Bridges Network to build a supportive community of people who work on projects and to support financially some of the projects. Over the five years she held the chair 13 projects have focused on computing events for K-12 and one project supported undergraduates in computer science to attend a conference. In addition to computing activities her work has helped girls and women more broadly in the sciences and engineering. Her term as Chair ended in 2009, but her legacy is the creation of the Jade Bridges Network which still functions for the betterment of girls and women in BC and the Yukon. The CRA board selected Richard E. Ladner, Boeing Professor in Computer Science and Engineering at the University of Washington, to receive the 2008 Habermann Award. Professor Ladner is recognized for his lifelong, strong and persistent advocacy on behalf of people with disabilities in the computing community. Ladner’s contributions have taken three forms: mentoring of students, research both with and for persons with disabilities, and national advocacy. He is known for his dedicated, one-on-one mentoring of students (both with and without disabilities). Over the past 15 summers, he has worked with 38 severely disabled high school students on week-long summer projects in computing. Ladner has also mentored undergraduates and graduate students with disabilities, often working with them on assistive technology research. His assistive technology efforts have resulted in networking (remote login, email) for Seattle’s deaf-blind community, large-print user interfaces for Unix machines, video compression algorithms that are tailored to American Sign Language and simple enough to implement in real-time on a cell phone, and new image processing and enhancement algorithms to convert graphical images—diagrams in math and science textbooks—into tactile images. Richard Ladner currently co-leads the NSF-sponsored AccessComputing Alliance, a national effort to increase the number of students with disabilities majoring in computing. As part of their effort, the Alliance hosts workshops and summer camps around the country, and Ladner has run many of these, including a three-day Vertical Mentoring Workshop for the Blind in Science, Technology, Engineering and Mathematics, and a nine-week summer camp for deaf students. Ladner has also been tireless in his advocacy at the national level: he has spoken to many groups, including department chairs at the CRA Conference at Snowbird, and worked with organizations and departments (through AccessComputing’s communities of practice) to make it easier for students with disabilities to fully participate. The CRA board selected Janice E. Cuny to receive the 2007 A. Nico Habermann Award for her dedication, effectiveness, national scope, breadth of impact, vision, and leadership in broadening the participation of all underrepresented groups in computing. Cuny, a Professor of Computer and Information Science at the University of Oregon, is currently a Program Director in CISE at the National Science Foundation. 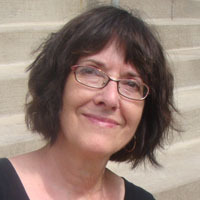 Jan Cuny has been a prime mover within CRA-W on a number of projects over a long period of time, including: co-founder (with Mary Lou Soffa) of both the Grad Cohort and the Associate Professor Cohort programs; Distributed Mentor Program; Computing Research Experiences for Women; and Computing Research Experiences for Undergraduates. In addition, she was co-author (with Bill Aspray) of the highly regarded and widely read report, “Best Practices in the Recruitment and Retention of Women Graduate Students in Computer Science and Engineering”; co-organizer of one of the earliest CRA panels on diversity in computing (1996); and a member of the Executive Committee of the Coalition to Diversify Computing. Currently Cuny directs the Broadening Participation in Computing (BPC) program at NSF. From the beginning of this program, her vision directed a process that has been a model of inclusiveness for diversity-oriented programs at NSF and elsewhere. Mary Lou Soffa, the Owen R. Cheatham Professor and Chair of Computer Science at the University of Virginia, was the founder of CRA-W’s Affiliate Distributed Mentoring Program and co-founder (with Jan Cuny) of the CRA-W Graduate Student Cohort and the Cohort for Associate Professors. The Graduate Student Cohort program is now bringing 200 women together annually for a two-day workshop. Soffa has consistently been responsible for finding funding for these programs, recently obtaining significant funding from industrial sources, even as the programs have grown. She is also extremely active in individual mentoring. She has graduated 21 PhD students and 54 MS students, and more than half of these are women. Eight are tenured or tenure-track faculty members. Soffa is active in minority enrollment issues as well. As Dean of Arts and Sciences at University of Pittsburgh she doubled the enrollment of minority students. Since 1992 she has been an active advisor to Florida A&M, a historically black university, where she substantially helped both the university administration and their ABET accreditation. In 1999, Soffa won the Presidential Award for Excellence in Science, Mathematics, and Engineering Mentoring. Jane Margolis was selected for this award because the passion and scholarship she brings to the computing research community is unique. Unlike previous winners of the Habermann Award, Jane Margolis is not a computer scientist. Instead she is a social scientist who has worked on issues of gender and minority status within computer science education. She is being honored because of the way she uses her research to inform ongoing interventions; she is committed both to rigorous research and to making important changes in society. As her nomination states: “Her ability to collaborate with teachers, administrators, computer scientists, policy-makers, and foundations allow her to gain insight and collect data from groups representing a variety of perspectives, often serving different interests. She reminds computer scientists, educators, and policymakers alike of the need to collaborate to reform computer science education.” She is passionate about creating more equitable educational environments and she is a crusader for diversifying the field of computer science. Margolis is most well-known for the work she did at Carnegie Mellon University with Allan Fisher that culminated in the award-winning book, Unlocking the Clubhouse: Women in Computing, and in research-based changes at CMU that significantly reduced their gender gap, helping to increase the enrollment of undergrad majors from 7 percent to 42 percent. 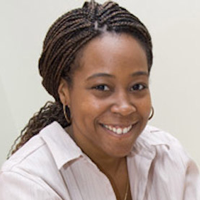 Since 2000, Margolis has been working on a similar research project at UCLA aimed at better understanding the psychological and institutional factors responsible for the underrepresentation of females and students of color in high school computer science. Again the research involved collaboration with teachers and administrators within the Los Angeles Unified school district (LAUSD). This collaboration led to a week-long summer institute for a group of high school computer science educators, helping them to increase their knowledge of Java, develop engaging pedagogies, and use more enticing curricula, while simultaneously establishing a professional network for them. As a result, new CS courses have been added, the number of Latino/as taking the Advanced Placement computer science course in LAUSD tripled, and the number of African Americans and female students doubled. Margolis is publishing her findings, enabling other scholars and interveners to gain a better understanding of the factors at play. Although Maria Klawe and Nancy Leveson have been active in many ways in recruiting and retaining women in CSE, their selection for this joint award recognizes their role as founding co-chairs of the highly successful CRA-W Committee. Klawe and Leveson provided the enthusiasm, shared vision, and commitment that forged CRA-W into the cohesive and productive group that it remains. Since its founding in 1991, CRA-W has led efforts at the national level to increase the representation of women in computing research, running programs that have involved more than 2,000 participants! After founding CRA-W, Klawe and Leveson continued to support its activities, each serving on the Steering Committee for many years. Both of them participated in numerous CRA-W workshops. Established the CRA-W committee as an action-based committee, a tradition that continues to this day. Each committee member is responsible for a project. Initiated brainstorming sessions seeking to craft projects that could positively impact CSE women at the undergraduate, graduate, and faculty levels. Led the brain storming discussions and often initiated the projects and drafted volunteers to lead them. Secured NSF funding to support the committee activities, the first of such funding from NSF. Systers-academia (a moderated mailing list for women graduate students and faculty in CSE. Career Mentoring Workshop (first held in 1993—brings together graduate students and new PhDs with senior researchers to develop career strategies). “Expanding the Pipeline” column in CRN (that reports through a regular column in CRN, on projects and issues relevant to underrepresented groups). Distributed Mentoring Project (initiated in 1994 with NSF funding that brings together CSE undergraduates and professors for a research summer at the mentor’s institution). Rita Rodriguez is recognized for her impact on minority students, faculty, and institutions throughout the country by constantly striving to improve the quality of programs at minority institutions. Her energy and devotion in helping the members of underrepresented groups in the computing science community is well known. Dr. Rodriguez is a Program Director in the Division of Experimental and Integrative Activities (EIA) in the CISE directorate at NSF. She began her NSF career in 1995 in the CISE Office of Cross-Disciplinary Activities. She immediately took over the direction of the Minority Institution Infrastructure (MII) Program and CISE’s international involvement-including the NSF-CONACyT Program for collaborative research with Mexico. Under the direction of Dr. Rodriguez, the MII Program clearly emphasized depth rather than breadth in its considerations, and this became clear to applicants and reviewers alike. The program sought to strengthen research and academics in these predominantly minority institutions by creating true models that improved “the pipeline” from undergraduate to Ph.D. over the long term. The guidance Rodriguez has provided to institutions emphasized investments with potential for significant long-term impact. She collaborated with program directors of different divisions and directorates to multiply the available financial support for these institutions, improving minority opportunities and fostering wider research interactions in CISE activities. Through collaboration with other NSF divisions and directorates, Dr. Rodriguez brought many millions of dollars into the CISE women and minorities computing communities in joint support. Since returning to EIA in 2001, Dr. Rodriguez has once again been on the forefront of the NSF programs dealing with women and minorities. She has put in extra effort to promote these programs, to encourage PIs, and to assure that funding reaches as many well-qualified members of the CISE community as possible. Valerie has helped to make it a vibrant organization. Her leadership helped to make the first Richard Tapia Symposium to Celebrate Diversity in Computing a major success through her efforts and tireless determination. She has organized the Distributed Rap Sessions project for minority graduate students using the Access Grid, and initiated a new CDC membership drive that has attracted several young minority Ph.Ds. Taylor has been an active member of the Grace Murray Hopper Conference since its beginning, serving as program chair in 2000 and as general chair of the upcoming September 2002 conference. She is a founding member of the Institute of African American E-Culture, an organization dedicated to instilling the notions of creativity and ownership of technology within the African-American community. She has built a very successful research record in high-performance computing in the performance of parallel scientific applications, computer architecture, and visual supercomputing environments. She is the PI on an NSF NGS Grant to develop an infrastructure for automating the process of performance modeling of parallel and distributed applications. Professor Taylor is a P.I. with the Education, Outreach, and Training Partnership for Advanced Computational Structure. She participated in the Argonne Lab’s Science in Search of Women program (an annual event to attract high-school women to careers in science and technology), and many conferences and workshops on minorities and women. She has been a member of CRA’s Committee on the Status of Women. For more than 15 years, Anita has worked tirelessly to create a community of women in CS. She has encouraged women to make connections, give and receive advice, exchange information, develop their own strengths, and reduce their sense of isolation. Among Anita Borg’s many accomplishments is the Systers electronic mailing list. For 10 years, Anita was the Keeper of Systers, moderating its discussions, developing web-based information and communication technology to support it, and nurturing its community. Another accomplishment is the Grace Hopper Celebration of Women in Computing, which Anita co-founded with Telle Whitney to highlight the research of women, build community, and provide career development opportunities. More recently, Anita founded the Institute for Women and Technology, a non-profit institution with two visionary goals: to increase the participation of women in all aspects of technology and to increase the positive impact of technology on the lives of women. ITW has assumed responsibility for Systers and the Hopper Celebration and has launched a new initiative, called Virtual Development Centers, in which ideas generated in exploration and innovation events are realized in prototypes by faculty, students, and professionals. Anita has served on a variety of boards and committees, including the Congressional Commission on the Advancement of Women and Minorities in Science, Engineering, and Technology; the National Academy of Engineering Celebration of Women in Engineering Steering Committee; the National Research Council Committee on Women in Science and Engineering; the CRA Board; and CRA-W.
Anita Borg has a Ph.D. in Computer Science from the Courant Institute of Mathematical Sciences, New York University. Since 1997 she has been a member of the research staff at Xerox PARC. Prior to joining Xerox, she was a consulting engineer with Digital Equipment Corp. More biographical information is available on the Web athttp://www.iwt.org/borg.html. Anita received her award at the Grace Hopper Celebration of Women in Computing Conference on September 14, 2000. For the past 25 years, Dr. Giles has worked at MIT and Boston University to increase the participation of underrepresented minorities in the computing disciplines. He has served as a faculty advisor and mentor for the Minority Engineers Society at Boston University, an affiliate of the National Society of Black Engineers. Dr. Giles has mentored high school, undergraduate, and graduate students in New England for the New England Board of Higher Education. 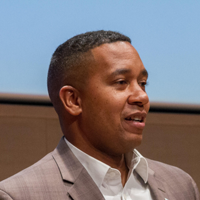 Because of his strong commitment to education, combined with his energy and dedication to diversifying the population of CSE students and faculty nationwide, Dr. Giles was named one of three co-chairs of the Education, Outreach, and Training (EOT) program for the NSF Partnerships in Advanced Computational Infrastructure (PACI). This program focuses on improving the computational component of K-12 education, developing K-12 computing curricula that appeal to girls and underrepresented minorities, and increasing the involvement of institutions that serve minorities in PACI. Roscoe Giles helped to organize an NSF workshop on “Increasing Participation of Minorities in the Computing Disciplines” that led to the formation of the Coalition to Diversify Computing. He also works actively with the NSF EDUCAUSE/EOT-PACI project, Advanced Networking with Minority Serving Institutions. This project assists colleges and universities that traditionally serve African-American, Hispanic, and Tribal communities in the development of the infrastructure and skills needed to take advantage of advanced computational tools and resources, such as the technology Grid being prototyped by the PACI program. The Grid will connect people, supercomputers, virtual environments, scientific instruments, educational tools, and large data sets through a seamless, integrated, persistent environment operating over high-speed networks. Dr. Giles co-chaired the Education Program for the SC97 conference, benefiting a large group of diverse teachers and exposing thousands of SC97 conference attendees to the K-12 use of technology. He will serve as general chair for SC2002. More biographical information can be found at Roscoe Giles’s homepage at Boston University. Sheila Humphreys has been selected to receive the 1999 A. Nico Habermann Award. Dr. Humphreys is currently the Academic Coordinator for Student Matters, Department of Electrical Engineering and Computer Sciences at UC Berkeley. For the past twenty years, she has worked as a mentor and advocate for students from under-represented groups in computer science and engineering at the University of California, Berkeley. 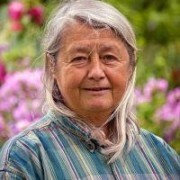 Sheila Humphreys founded and subsequently coordinated the Berkeley Computer Science Reentry Program in 1983, which became a model for programs to prepare women with non-traditional backgrounds for graduate study in Computer Science. In 1985, she initiated and organized the Excellence and Diversity Program in the Berkeley ECE Department to recruit and mentor graduate students, with an emphasis on underrepresented groups. Since 1990 she has worked with ECE graduate students to initiate and direct the Summer Undergraduate Program in Engineering Research (SUPERB) at Berkeley, an undergraduate research and mentoring program targeting underrepresented students which has been used as a model by other departments. Sheila Humphreys is currently initiating a local science fair and an Internet-based information system to help local high school students prepare for admission to UC Berkeley under new Proposition 209 guidelines. CRA’s overall Awards Committee is chaired by Dan Reed (University of Illinois, Urbana-Champaign). He also chairs the Distinguished Service Award committee with members Fran Berman (University of California, San Diego) and Richard Muntz (University of California, Los Angeles). Corky Cartwright (Rice University) is chair of the Habermann Award Committee, with members Richard Tapia (Rice University) and Valerie Taylor (Northwestern University). More biographical information can be found at Sheila Humphrey’s homepage at UC, Berkeley. Dr. Bryant York has been selected as the recipient of the 1998 CRA A. Nico Habermann Award. This award is made in recognition of Dr. York’s outstanding contributions, spanning many years, to underrepresented groups within the computing research community on both the local and national level. Dr. York is currently an Associate Professor of Computer Science at Northeastern University. During his academic career, he has initiated and contributed to many projects involving minorities, women, and the disabled. In 1989 he organized an NSF-sponsored workshop on “Computers and Persons with Disabilities”. Upon joining NSF in 1990 as a rotator, he supported several projects for improving accessibility to science for the blind. At the same time he worked with the director of the Clearinghouse for Computer Accommodation of the General Services Administration and the director of the National Institute of Disability Research and Rehabilitation on impacts of the Americans for Disabilities Act on NSF programs. He subsequently co-edited a special section of the Communications of the ACM on Computers and Persons with Disabilities and moderated an NSF workshop on Access to the NII for the Elderly and Persons with Disabilities. For a number of years Dr. York has been active in encouraging minority students to pursue careers in science. For the past eight years he has served as a mentor for minority high school and undergraduate students in New England; he is a member of the curriculum planning committee and volunteers at the Young Achievers School in Roxbury, MA. He also helped to wire the school during NetDay96. He has chaired the ACM Committee on Minorities, and an NSF-sponsored workshop “Increasing Participation of Minorities in the Computing Disciplines.” While at NSF, he conducted a six-week computer-programming contest at Benjamin Banneker High School, a predominantly black high school in Washington, DC and in 1991 Dr. York received NSF’s prestigious Equal Opportunity Prize. Dr. York’s service to the minority computer science community has been recognized by ADMI (Association of Departments of Computer Information Science & Engineering at Minority Institutions, ) which presented him with awards in 1991 and 1997. He has helped ADMI in important forums during the organization’s infancy and has served as an ADMI consultant to minority universities for grant proposal development. Dr. York earned a Bachelors degree in Mathematics at Brandeis University in 1967, a Masters degree in Management from the Sloan School of Management, M.I.T in 1971, a Masters degree in Computer Science from the University of Massachusetts, Amherst in 1976, and a Ph.D. in Computer Science from the University of Massachusetts, Amherst, in 1981. His current research interests are in the area of parallel and scientific computing. Dr. Bernat is the founding chair of his department, and he has created what is arguably the best computer science department at a minority institution. The UTEP CS department has an active research program, with competitive funding from NSF and AFOSR. The department was one of the first to be awarded a minority infrastructure grant from NSF/CISE. The UTEP undergraduate program is CSAB-accredited, and the graduates of the UTEP bachelor’s and master’s CS programs are to be found in CS doctoral programs at leading universities (Michigan, UT Austin), and at major corporations. Dr. Bernat has also been a leader in the organization of CS departments at minority institutions (ADMI). He has held several ADMI offices, and he has written grant proposals on behalf of ADMI that have been funded. He has organized ADMI meetings that have made it possible for department chairs at minority institutions to hear talks by leading figures in the CS research community. Dr. Bernat is also extremely active in CS education. He is a member of the Educational Activities Board of IEEE-CS, and he is a participant in an NSF-funded project to reform the introductory CS curriculum (the principal investigators are Allen Tucker of Bowdoin, Keith Barker of Connecticut, and Joe Turner of Clemson). He is also a co-author of a published introductory CS textbook that has its roots in the Bowdoin component of the NSF project). Dr. Bernat has been unique in his successful effort to bring a predominantly minority institution to the CS research frontier. Dr. Bernat’s academic training and professional experience before he came to UTEP in 1982. He received the BS in physics from Harvey Mudd College (1970) and the MS (1973) and PhD (1976) in astronomy from the University of Texas at Austin. He held research positions in astronomy at Kitt Peak and other observatories. Dr. Bernat is currently director of the NSF-funded Model Institutions of Excellence project at UTEP. He is a major player in the NSF-supported joint US-Mexico workshops on computer science and engineering, and he organized the first of these workshops, held in El Paso in 1994. Caroline Wardle is deputy division director of NSF’s Computer and Computation Research Division. She is being honored for her guidance, encouragement and support of CRA’s Committee on the Status of Women in Computing Research and the committee’s efforts to recruit, retain and advance women in computer science and engineering. Dr. Wardle was appointed deputy division director of NSF’s Computer and Computation Research Division in 1995. Dr. Wardle joined NSF in 1990 as a program director in the CISE Office of Cross-Disciplinary Activities, where she managed a number of research and educational programs including Research Infrastructure, Research Instrumentation, Educational Infrastructure and Faculty Awards for Women. She also headed a special CISE effort to increase opportunities for women in computing. Dr. Wardle received a Ph.D. in mathematical physics in 1970 from the University of London, England. From 1969-75 she was a faculty member at Hunter College of the City University of New York where she was the prime architect of the undergraduate degree program in computer science. From 1975-90 she was a faculty member at Boston University where she founded and chaired the Department of Computer Science. In 1980, while on leave from Boston University, she joined the Wang Institute of Graduate Studies as associate dean, later as dean. At Wang Institute, Dr. Wardle established the School of Information Technology and implemented its first degree program, a master’s degree in software engineering. Dr. Wardle’s research has spanned theoretical physics, computer graphics, programming languages, software engineering and information systems. Her current research interests are in the area of software quality assurance and total quality management. The 1995 CRA Nico Habermann Award will be presented to the family of the late Eugene Lawler for the outstanding contributions he made to promote the entry of female, minority, disadvantaged and disabled students into graduate research programs in computer science at the University of California at Berkeley. As professor of computer science at Berkeley, Lawler played a major role in the establishment and operation of Berkeley’s Computer Science Re-entry Program. This program, which was established in the 1980s and was one of the first of its kind, made it possible for underrepresented students trained in other fields to prepare themselves for graduate studies in computer science. Lawler was the first faculty chair for the Re-entry Program and served for four years in that capacity. Lawler promoted admissions of women and ethnic minorities into the graduate program and made recruiting trips to the Southwest on behalf of Chicano recruitment. His advocacy efforts on behalf of women, minorities and disabled students extended beyond Berkeley to the National Science Foundation and the American Association for the Advancement of Science. He was videotaped for the AAAS Access to Engineering Project, which was designed to encourage disabled students to aim for engineering careers. He worked with the Berkeley Disabled Students Center to try to obtain reading aids for blind students. But his efforts went beyond admissions, to mentoring and advising. He carefully followed his students to make sure they found a research adviser and received financial support. He gave generously of his time, counseling students with patience, good sense and wisdom. Tapia is a Noah Harding Professor of Mathematical Sciences at Rice University in Houston. He played a key role in increasing the percentage of Rice undergraduates from underrepresented groups from less than 5% to more than 15%. As the Education And Human Resources Director for the Center for Research on Parallel Computation—a National Science Foundation Science and Technology Center—he has designed an education program that has put the center at the forefront of minority recruiting and participation.